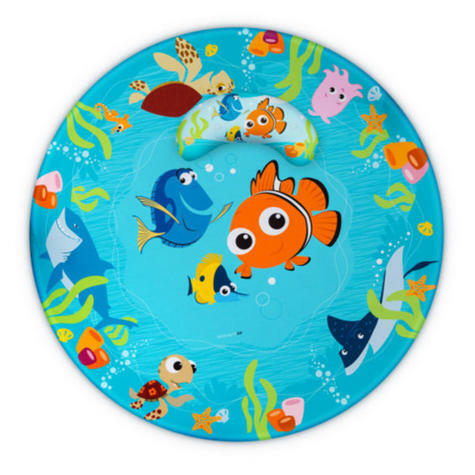 The Disney Baby™ FINDING NEMO Sea of Activities Door Jumper has three toys including a Nemo bead chaser, Dory plush toy with chiming sounds, and crinkle flash cards. 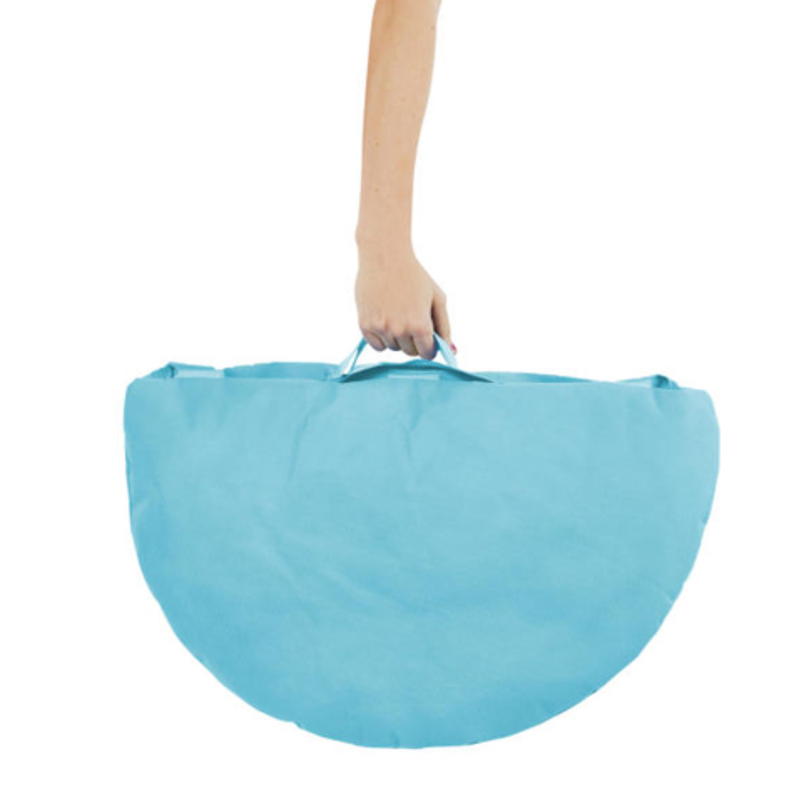 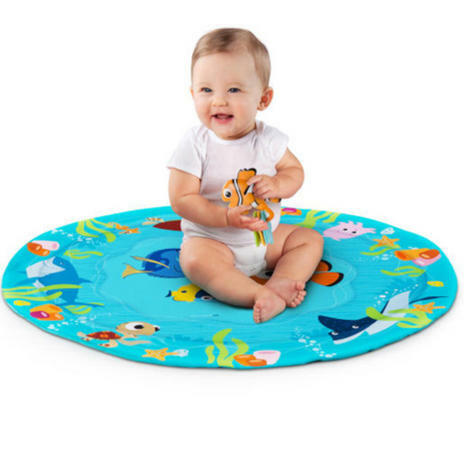 The prop pillow provides support in the door jumper or for tummy time when baby is using the Nemo character mat for playtime. 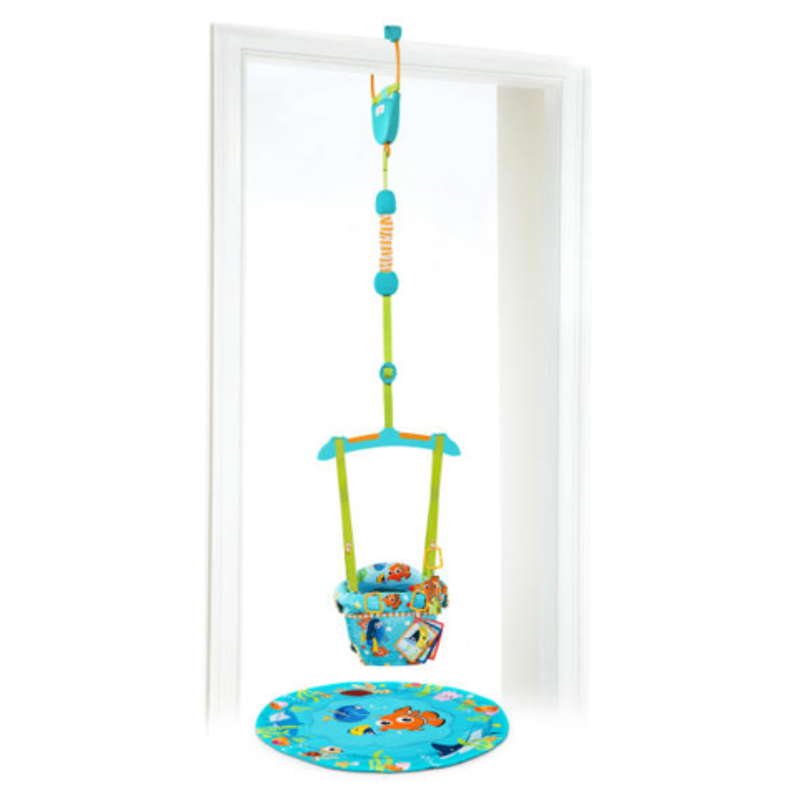 The padded seat ring ensures extra comfort and the sturdy door frame clamp is designed to provide a secure connection to most door ways. 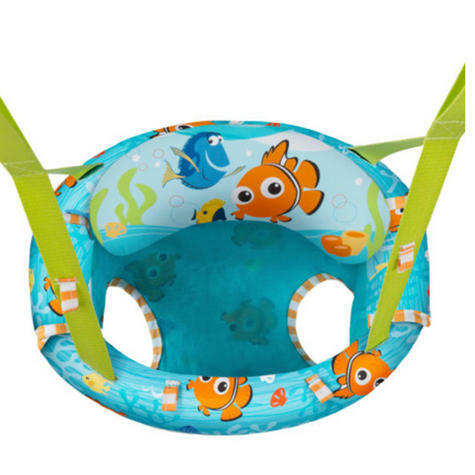 We've added another layer of security with a secondary safety strap. 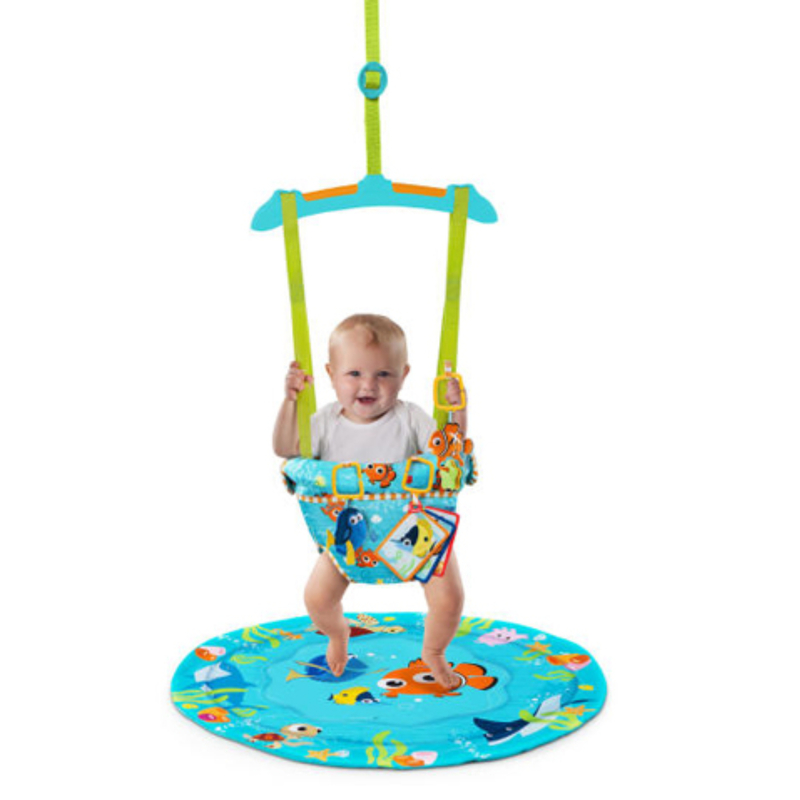 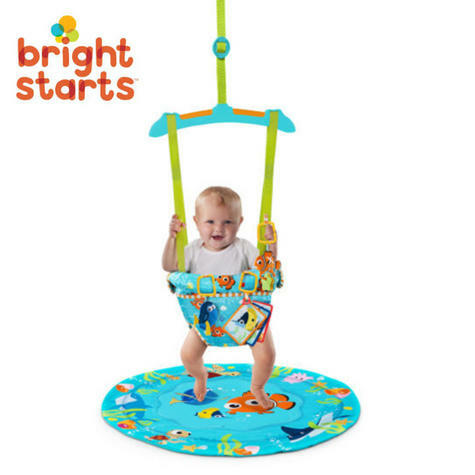 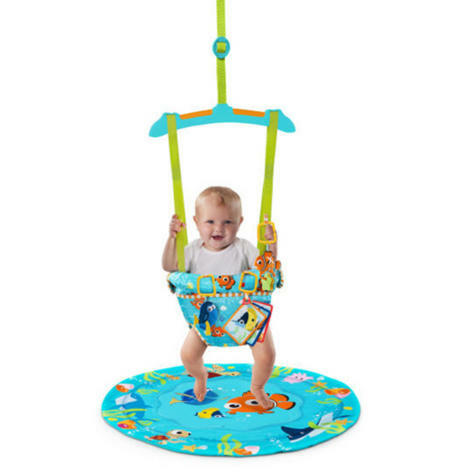 Adjust straps as baby grows so little toes are just the right height for jumping fun.